Two of our agents recently stayed at Sandals Grande Riviera in Ocho Rios, Jamaica. They would highly recommend this adult only, all-inclusive property. This resort sits on the Caribbean Sea and is built into the lush mountain side on the east coast of the island. Your all-inclusive begins at the airport where you can help yourself to red strip in the Sandals lounge. The resort recently had up to $80 million dollars worth of renovations. With the unlimited activities, beautiful gardens & pools, relaxing beachside cabanas & fire pits, and spectacular food & drinks, it is no wonder Sandals Grande Riviera has been voted “Jamaica’s Newest & Grandest” all-inclusive, offering more than any other resort. It is a couples only resort which makes it a great place to celebrate a honeymoon or anniversary! It is the perfect destination for a romantic getaway for two. The size of the property and the large variety of activities and dining, also make this resort a great place to travel with a group of family and friends. Some of our agents’ favorite things about the property were the beautiful gardens & walkways, great pools & swim up pool bars, amazing restaurants, and an unlimited amount of activities available day and night. The people at the resort were extremely friendly and made the trip one to remember. There are several complimentary activities to participate in on property, including: golf, windsurfing, kayaking, snorkeling, scuba diving, volleyball, tennis, rock climbing, and more! The resort has 105 pools including 7 main pools, 98 villa pools, and 22 whirlpools. Three of the pools have lively swim up pool bars offering premium alcoholic beverages and smoothies! The resort has 15 unlimited gourmet restaurants to choose from. One of their favorites was Kimonos, which was a Teppanyaki restaurant. At Kimonos, the chef cooks the meal directly at your table, providing you with an evening of entertainment and delectable food. Sandals Grande Riviera has 10 bars, including 2 popular piano bars and a rooftop bar. The resort also has a new amphitheater which provides live entertainment late into the night! While the agents were there, they ran into a few wedding parties who were having a great time! Sandals has a beautiful complimentary wedding package that is legally recognized in the United States. Sandals Grande Riviera has beautiful gardens and beachfront gazebos that would be the perfect background for a tropical wedding. 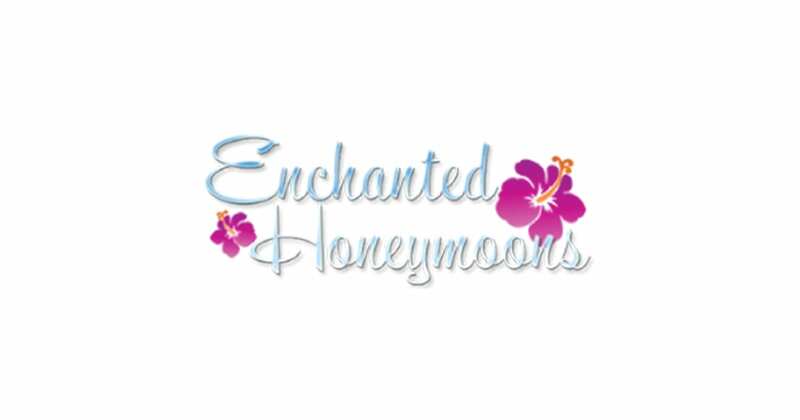 Enchanted Honeymoons will help you with your wedding planning ahead of time, making the entire process simple and stress free! Sandals Grande Riviera is 65% off and is offering up to $555 in air credit when you book your travel package in the month of August.